The Oculting solutions for the hotel sector give priority to the aesthetics of the establishments, so that the TV sets of the rooms remain hidden, disappearing from sight, while their advanced technology is at the service of the guest and the hotel itself. Hostelco is one of the most relevant international events that makes Barcelona the epicenter of the hospitality industry from April 16-19, a date that Oculting could not miss since one of the main applications of its television mirror solutions is focused on the hotel industry. 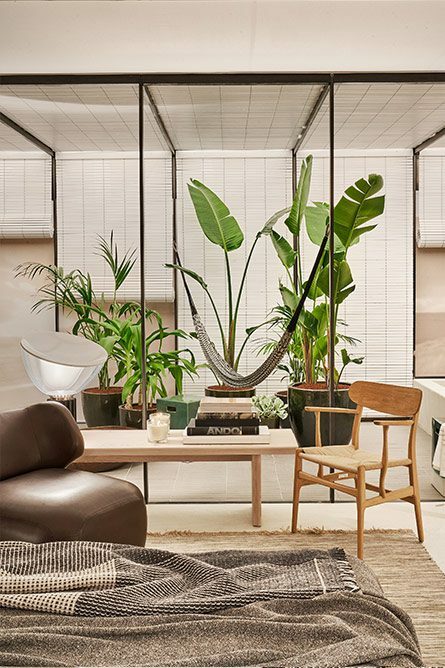 Oculting participates in the project The Hostelco Experience- Life Hotel, by interior designer Isabel López Vilalta, which recreates a beach holiday hotel surrounded by nature. 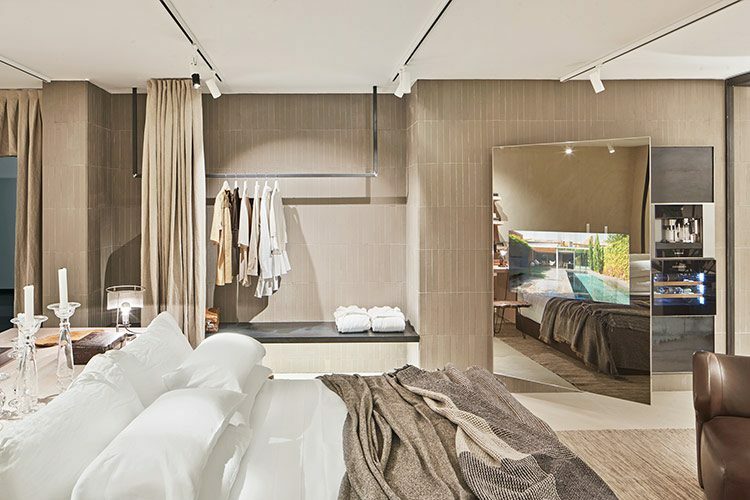 A project that aims to offer guests a quiet, comfortable stay, with careful aesthetics and high quality. In the words of the interior designer, “We want the guest to feel an experience as close as possible to living in the middle of nature, but without disregarding the comforts offered by a large hotel”. In this magnificent environment, do you not think that the TV screen is an eyesore to be avoided? That is why Avant Solution has been chosen, Oculting’s practicable solution, with Samsung Hospitality screens. The essence of the Oculting Mirror TV is to make the ‘black hole’ that imposes the television screen on the rooms of the hotel disappear, preserving the space so that nothing breaks the harmony of the creation and interior design, enhancing the image perceived by the guest. The predominance of the image is something that is part of our day to day and that importance is manifested in all areas. That is why interior design and decoration have been and are an essential part of hotel projects, because of the influence that these disciplines have on the user’s experience. Today this factor acquires a special relevance because beyond the word, the image has become a new way of sharing and communicating our experiences and opinions to the rest of the world. These days the large hotel chains know that their prestige is, through the Internet, available to the entire planet in real time. We all have a built-in camera in our smartphone, so through social networks like Instagram, Flickr, Facebook … the image is increasingly present in the customer’s mind and, in this new scenario, decoration and corporate interior design have started gaining more importance, becoming one of the pillars of business related to hotel companies. Without any kind of discussion, the choice of a new hotel to stay depends, in the first instance, on what its architecture and interior design transmit. Guests are willing to pay more to enjoy their experience in a welcoming environment, differentiating, with an aesthetic sense that gives them more enriching experiences during their stay, satisfying the five senses and, of course, promoting their reputation and popularity by sharing photos on the networks of ‘magical’ environments. But to generate attraction, enhance brand image and build loyalty, it is not enough to merely create eye-catching spaces. They should be both comfortable and functional, adapting to the lifestyle of the people who enjoy them, seeking the most suitable aesthetic resolution of the environment and facilitating the stay in the hotel, while also incorporating the latest technologies. 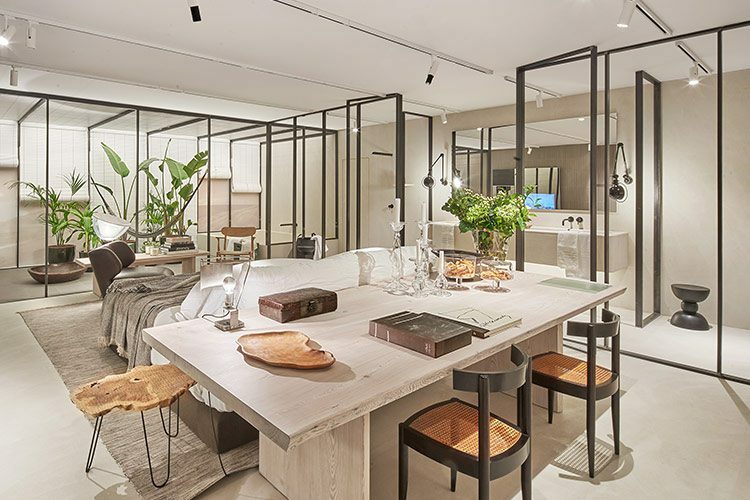 To achieve a complete global experience that combines imagination and creativity, the teams of interior designers work and combine the different fundamental elements of design with psychological, environmental, aesthetic, functional and psychosocial techniques. The interior design expresses itself looking to create eclectic environments where everything has a meaning: lighting, furniture, colors, space distribution, etc. 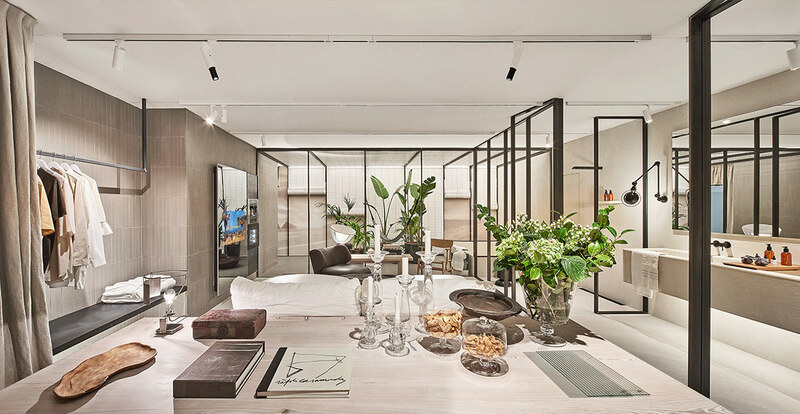 It is intended that everything fits and nothing breaks the narrative that is reflected in the different elements in which interior design studios ‘play’, offering an unforgettable and full experience to the guest. 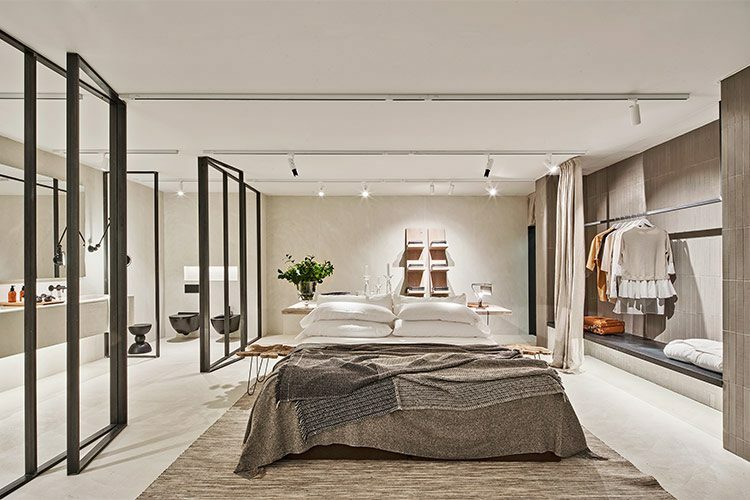 All these aspects seek a sensory perception that provides the guest with a satisfactory experience, where comfort and technology at the service of the user are based on aesthetics, giving the spaces a soul and character of their own in line with the value proposed by the brand. It has already been a long time since a good bed and excellent service are no longer enough in this sector. Now it is necessary to create a universe of experiences around the guest’s stay. When it comes time to deciding how to decorate and create an atmosphere for this type of space, it is very important to take into account the global style, functionality, and always put yourself in the shoes of the guest, to create the perfect experience for the user. Although the public has internalized the presence of the screen in a space as one more element, there is currently a logical and strong growing tendency to make it disappear from interior projects. Oculting helps preserve the space by integrating television screens in an elegant, functional and surprising way, providing the depth and usefulness of a mirror when the technology is turned off and the possibility of enjoying all the contents expected of a television for a hotel room when the technology is turned on. The essence of our hospitality solutions is to hide the technology so that only the experience is lived, favouring the harmony of the interior design without the aesthetic imposition of the screen, in an elegant, surprising and totally personalized way through mirrors with television. Behind a great hotel there is always a great team and a customer-oriented culture, where the care for details makes the difference between spending a night or enjoying an unforgettable experience. 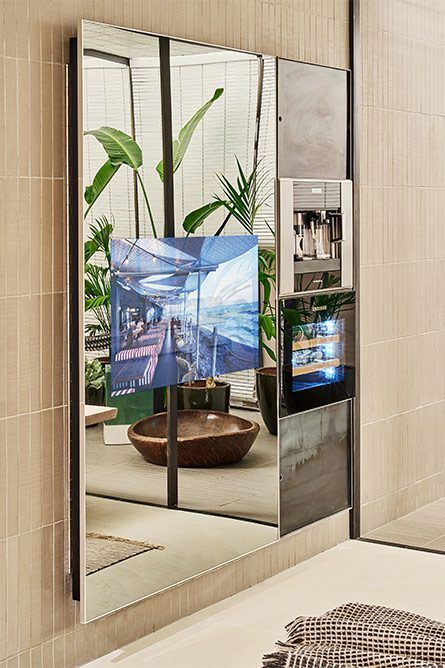 A TV Mirror by Oculting collaborates in this sense and helps to surprise guests, combining technology and interior design so that the screen fits in all kinds of rooms, from a great luxury of classical atmosphere to a modern resort in paradise. The televisions integrated in the mirror are ideal for rooms, but also for the restaurant, reception or common areas. They will allow us to let the client know all the information, without breaking the aura of hotel exclusivity. Therefore, Oculting has become a strategic ally of the hotel sector, helping the guest to live and enjoy their experience in the establishment they have chosen.